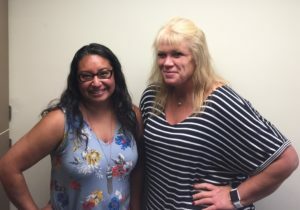 Many Washington Passport Network members know – or at least know of – Maria Reyna and Rosee Murray from Eastern Washington University. That is because, between the two of them, the Passport Designated Support Staff and Financial Aid Administrator from EWU have a combined 32 years supporting student success with a special commitment to foster youth. Maria and Rosee work closely together to ensure Passport scholars have access to the financial and human resources they need to be successful at EWU. Identifying Passport Scholars requires a team approach: At EWU members of the admissions, financial aid, and student support offices work with Dawn Cypriano-McAferty from WSAC and local case managers through the summer and fall to determine which new students are Passport eligible. This requires cross-referencing different rosters, working directly with students to get accurate information, and ongoing communication. Point people from each department meet on a regular basis to ensure coordination. These meetings double as a platform to ensure that campus processes and procedures are keeping pace with program changes. For example, in May the team noticed that the university’s admissions question related to foster care experience needed to be updated to match expanding eligibility criteria. Having multiple team members with different perspectives involved in conversations about identifying Passport students as early as possible decreases the possibility that students are missed as they matriculate. EWU has prioritized providing support services to all students from foster care, whether they are Passport eligible or not: As a matter of equity, EWU has made a commitment to provide extra supports and services to all students from foster care, regardless of Passport eligibility. 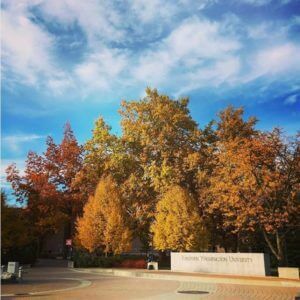 While non-eligible students may not receive Passport financial aid, at EWU they do have access to the same support services that Passport scholars do. This simultaneously increases impact and creates a more inclusive program culture. Plus, larger cohorts make it easier for staff to conduct successful activities and events. The way program information is communicated determines whether or not students engage: Maria has placed an emphasis on training staff who work with Passport scholars to strategically present information about Passport supports and services. Many students from foster care have an (understandable) negative initial reaction when they hear that there is an on-campus support program specifically for foster youth. Maria trains staff to sequence information carefully so that students get to experience the Passport community and ‘test drive’ services before they make a decision to opt in or out of the program. This way, students make more informed decisions. “I don’t want to lose them before they even come,” Maria stated. Fall is a critical time for welcoming Passport scholars and connecting them to supports and services. All Passport students are required to attend First Step, an early orientation program for EWU freshmen. Passport student peer-mentors plan and facilitate a Passport specific welcome event with a focus on building strong relationships new scholars from the beginning. All students meet with designated academic and financial aid advisors, who are trained to support Passport scholars, early in fall quarter. Special, individualized attention is paid to Passport scholars’ financial aid packages to ensure their aid is maximized, reliance on loans are minimized, and any problems are addressed early. This sounds basic, but this population comes with special considerations that, if not attended to proactively, can lead to big challenges. Rosee prioritizes personal contact with Passport students so she can understand their unique situations and adjust their packages as needed. Starting on October 1st, advisors and peer mentors work with students to ensure 100% FAFSA/WAFSA completion by EWU’s priority deadline of February 1st. Incentive grant funds are kept in a specific account to ensure that they can be used flexibly and in a timely manner to support students: Maria recounted that years ago, incentive grant funds were coded as state financial aid funds and restricted as such. After much conversation, EWU leadership decided to move incentive grant funds into a separate account and recoded them in a way that maximized flexibility, so they could be used in better alignment with the intent of Passport law and policies. Maria has worked with her financial aid and grants office to develop processes to use the money for direct student support, events, program activities, staffing costs, and capacity building while ensuring compliance with state and Federal requirements. The EWU team has learned a lot about how to effectively support Passport Scholars over the last 10 years, and they are still learning. Hallmarks of their approach are cross-team coordination, continuous communication and improvement, and thinking creatively to best serve Passport scholars within constraints. Maria and Rosee have had the advantage of working together for many years. That experience and continuity has increased their ability to address challenges over time. They are happy to connect and share their insight with peers at other colleges who are in the process of updating their viable plans. 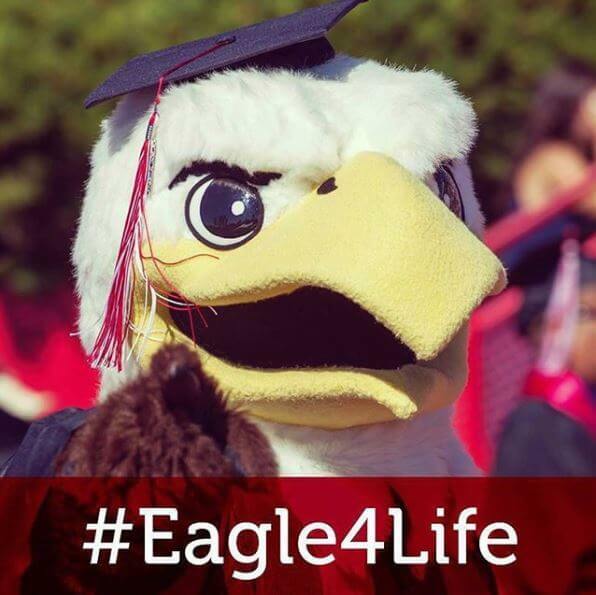 Click here to read a draft of EWU’s viable plan (note: this version was updated 9.6.18 and is not yet final). This post is part of an ongoing series focused on sharing best practices related to Passport Viable Plans. If you want support designing your viable plan, or have ideas about best practices you would like to share with the Washington Passport Network, please contact us!